We've already celebrated mother's day in this part of the world. Meanwhile, our neighbours on the other side of the pond are getting ready to mark this special occasion in a couple of weeks. 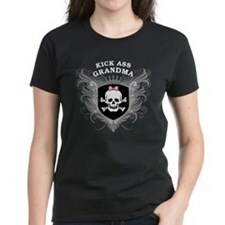 So when I came across a website, Eclipse store, which makes a wide variety of funny t-shirts, I thought what an excellent idea for a mother's day (and grandma's) present! I know that every year a sort of panic sets in when mother's day rolls along. Year after year, it seems to get harder to come up with original presents for mums because ideas become increasingly scarcer, the older we get. I thought these were exceptional, in that they left a wide scope for creativity. Look through the options to see what suits your mother's tastes best. You may also find something you like, as the range is vast and extends over several different topics and groups. Happy gift hunting. Keep in mind that the simple things in life can be the ones that bring the most joy.